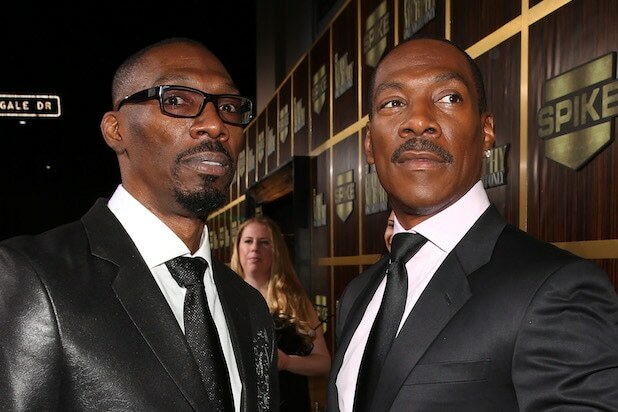 Charlie Murphy‘s family, including brother Eddie Murphy, have released a statement expressing their grief over the death of the comedian. Murphy died Wednesday at the age of 57 from complications from leukemia. Charlie Murphy, the older brother of comic legend Eddie Murphy, co-wrote some of his more famous sibling’s movies, including “Norbit” and “Vampire in Brooklyn.” But Charlie Murphy is arguably best known for his “C! True Hollywood Stories” sketches on Dave Chappelle’s mid-2000s Comedy Central show, where the two of them hilariously reenacted experiences the Murphy brothers had with celebrities including the late Prince and Rick James. Comedy colleagues across the world also paid tribute to Murphy on Wednesday following news of the actor’s death. Charlie Murphy, who died today at age 57 following a battle with cancer, created some of the most memorable sketches on Comedy Central's "Chappelle's Show." Perhaps none more so than "Charlie Murphy's True Hollywood Story: Rick James" in 2004, which spawned the acclaimed show's most famous catch phrase. Chappelle's "Kneehigh Park" series gave Murphy the chance to traumatize some young children with gritty real life lessons in this parody of "Sesame Street." "The Mad Real World" (2003) parodied MTV's "Real World" by moving one white guy into a house with five black roommates.